I will be performing with the incredible Mike Bent and, rumor has it, there may be a special appearance by the great Jon Stetson. Knowing how the Lounge works I am guessing there will be two more great acts rounding out the bill. 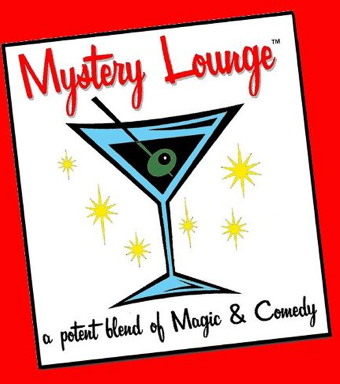 If you have never visited the Mystery Lounge then make a point of stopping by if your travels leave you in the Boston area on any Tuesday night. If you are around on Tuesday the 28th I warmly invite you to come on by and join in the fun. The show begins at 8.00pm and tickets cost only $12. That’s right TWELVE DOLLARS, what a deal! 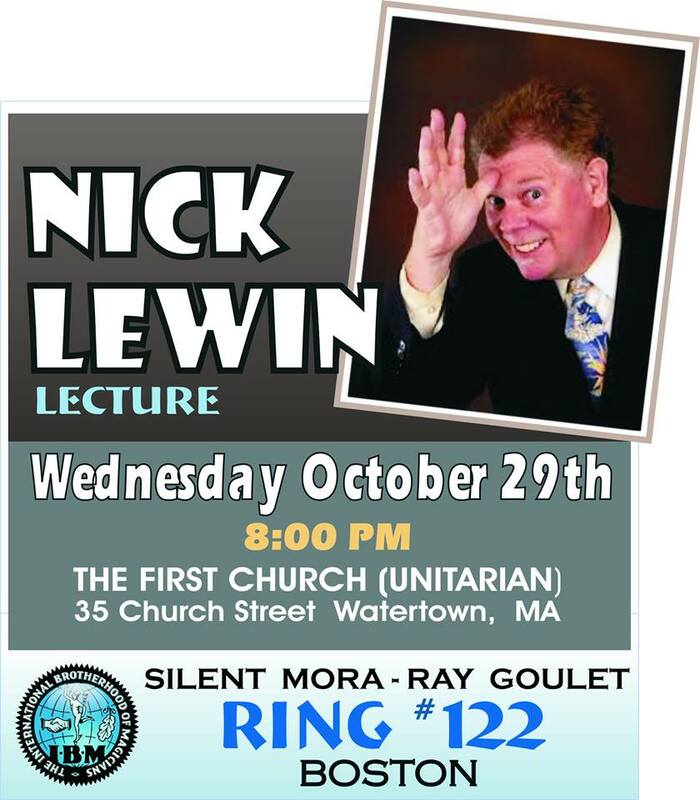 On the 29th of October I will be taking my lecture to the Boston area, for the Silent Mora-Ray Goulet IBM Ring #122. The lecture kicks off at 8.00pm and takes place at the First Church (Unitarian) in Watertown. The cost is a mere $5 for Ring members and $10 for IBM members. It is going to be a great lecture and I have some great surprises in store! For more information contact Debbie O’Carroll at http://www.debbie@debbieocarroll.com (978) 462-9954. Cumberland Falls. Kentucky. What exactly is an “Uncon?” Well, I can say it all when I tell you that Uncon is an abbreviation of Unconventional. This is not your typical magic convention and it is considered by many to be one of the most enjoyable and informal meeting spots for magi. To get full details about the convention contact them at www.mail@ring198.com or check out their Facebook page Unconventional Convention-Ring198. I am booking lectures throughout 2015 and hope to meet many more of my readers and magical pen pals! If you have a group that features magicians lecturing and would like to see one of my lectures or Master Classes then let your club’s booker know it. They can contact me about dates and details at www.nicklewin1@mac.com and I will send them a lecture package. I also have a package that combines a live 60 minute show, Workshop AND Master Class. 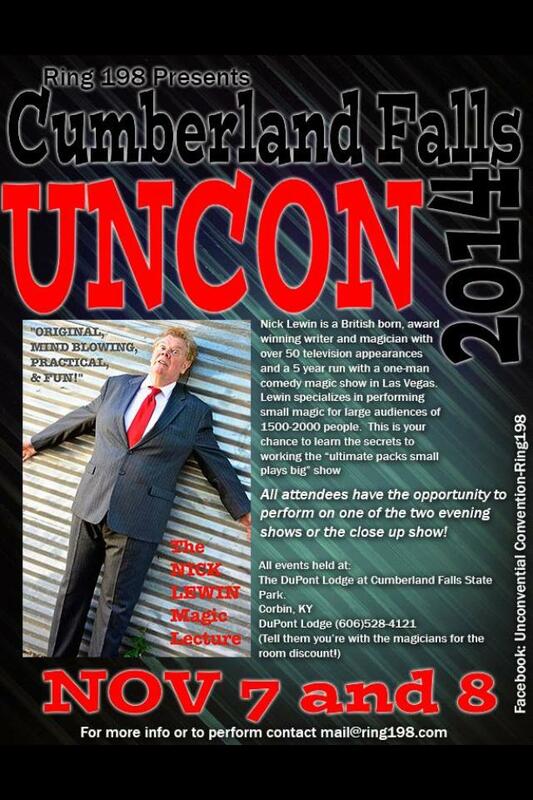 A chance to see and learn a great deal of nifty magic! Visit my online store at www.lewinenterprises.comI have exactly 8 of my Lemon Aid effects still available for purchase before the price is raised and they become a custom item. Check out the video on my website—it has been getting raves from purchasers around the world. ~ by Nick Lewin on October 24, 2014.